Privately held Food Management Partners (FMP) is a multi-concept operator of both franchised and independent brands co-founded by three industry veterans in 1999. 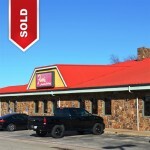 In June 2014, FMP acquired Furr’s Fresh Buffet and Dynamic Foods, a manufacturer and distributor of multiple lines of fresh and frozen products for contract food service and grocery stores, as well as restaurants and retail establishments. Guests continue to enjoy favorite recipes that made Furr’s restaurants famous, including the legendary Millionaire Pie and Skillet-Grilled Chicken Fried Steak. Guests also crave Furr’s contemporary new items such as grilled sirloin steak, golden-fried butterflied shrimp, Citrus-Fired Chicken, hand-carved roast beef, baked fish; fresh build-your-own salads; steamed veggies; oven-baked breads; and mouthwatering desserts. Furr’s all-you-wish-to-enjoy buffet serves delicious food you wish you had time to cook, all for one price of about $10. 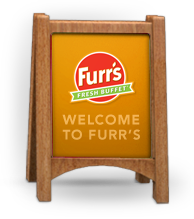 Google Alert - "Furrs fresh Buffet"